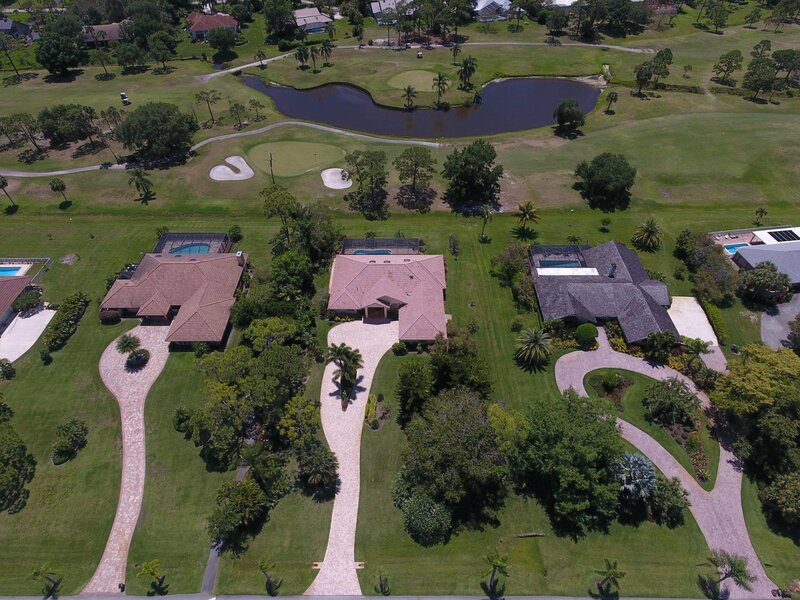 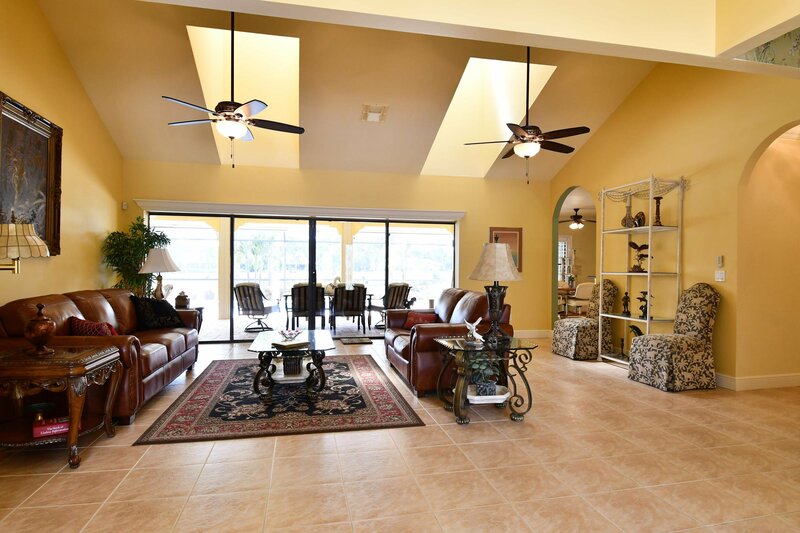 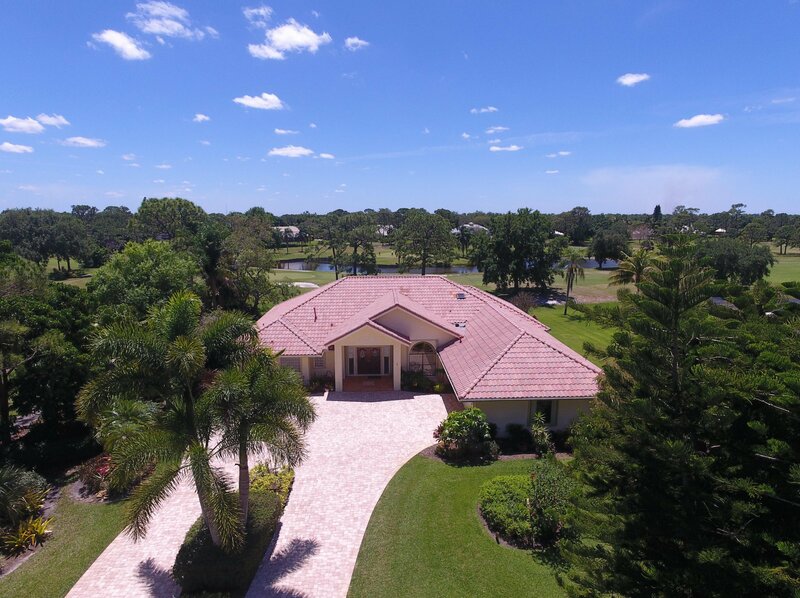 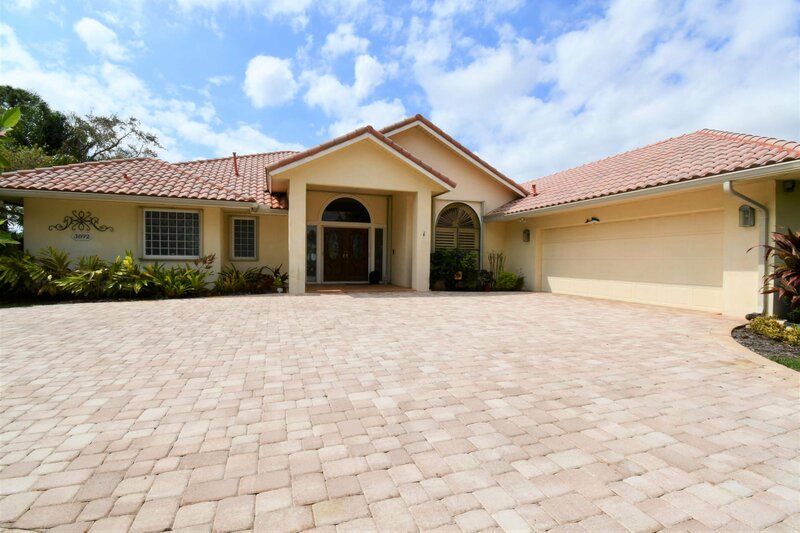 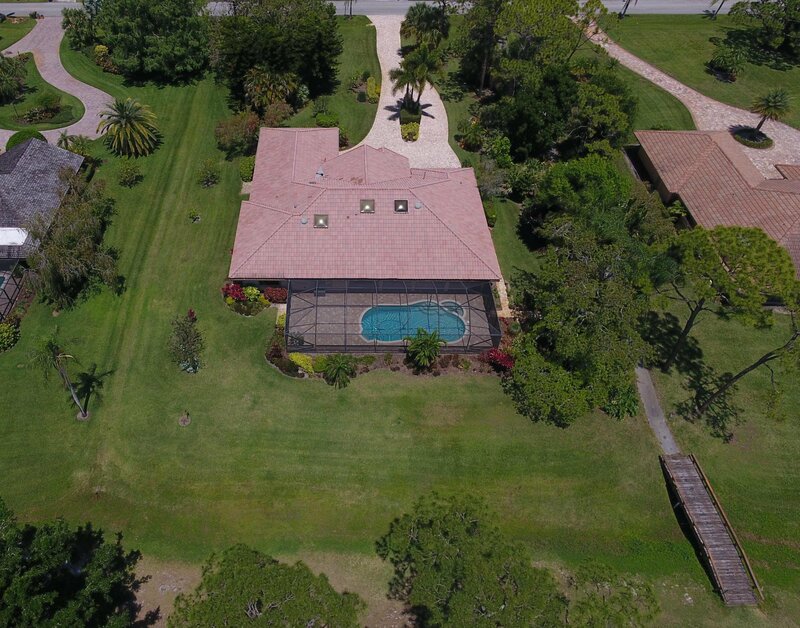 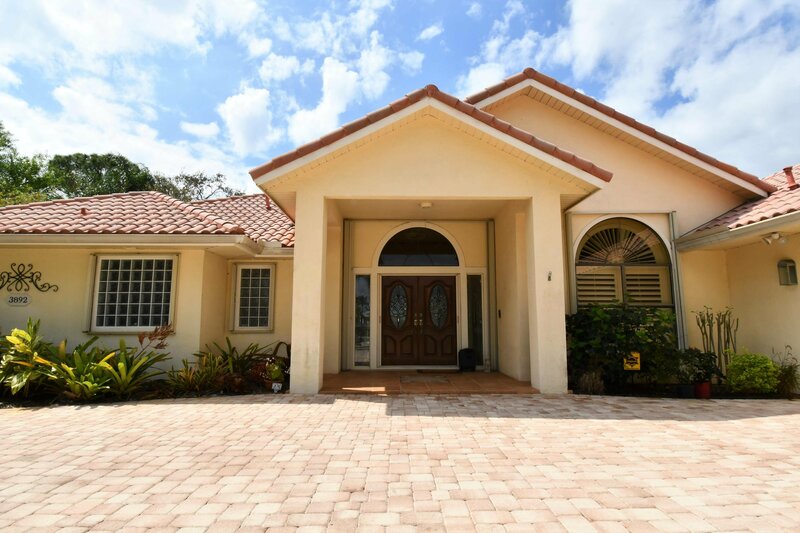 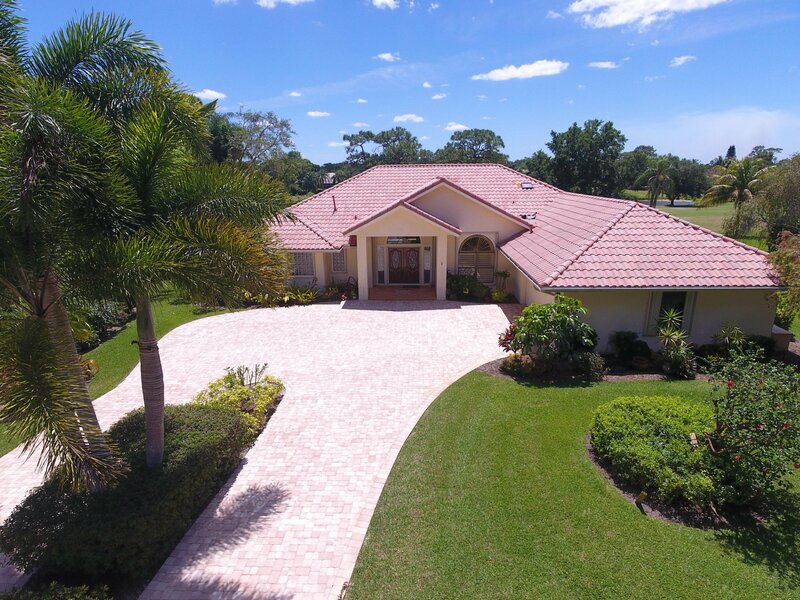 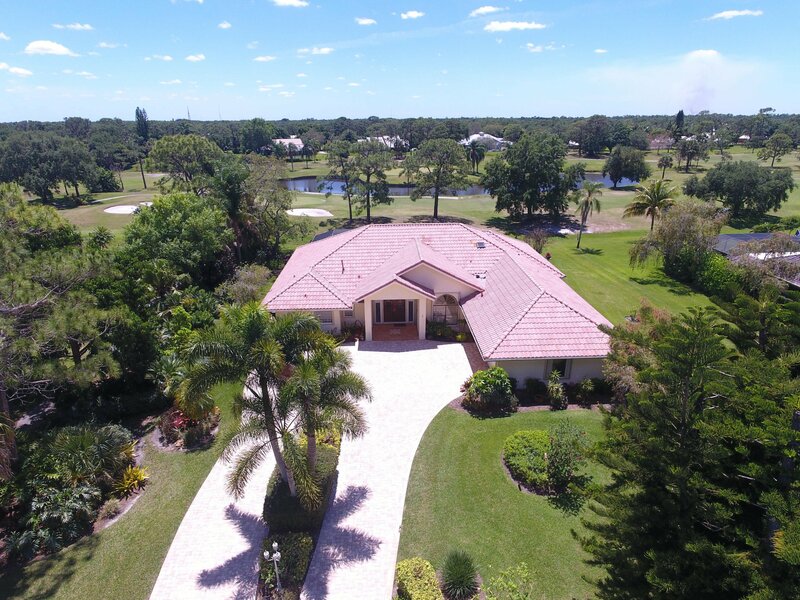 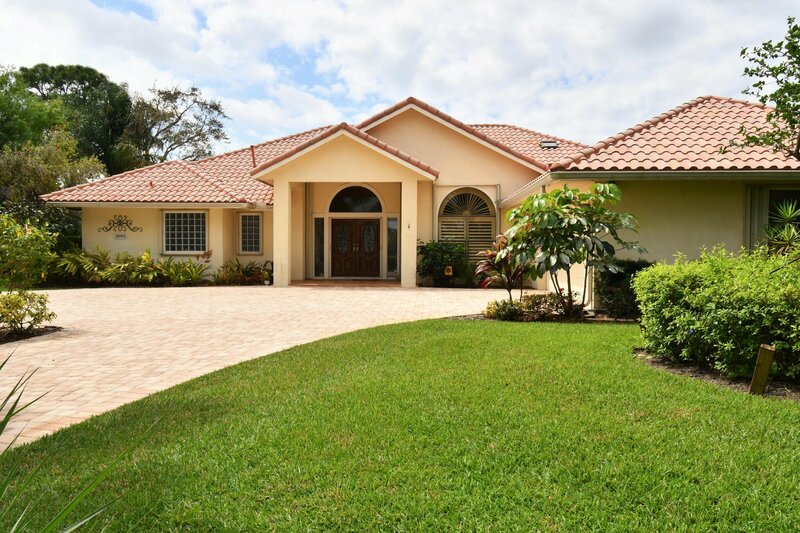 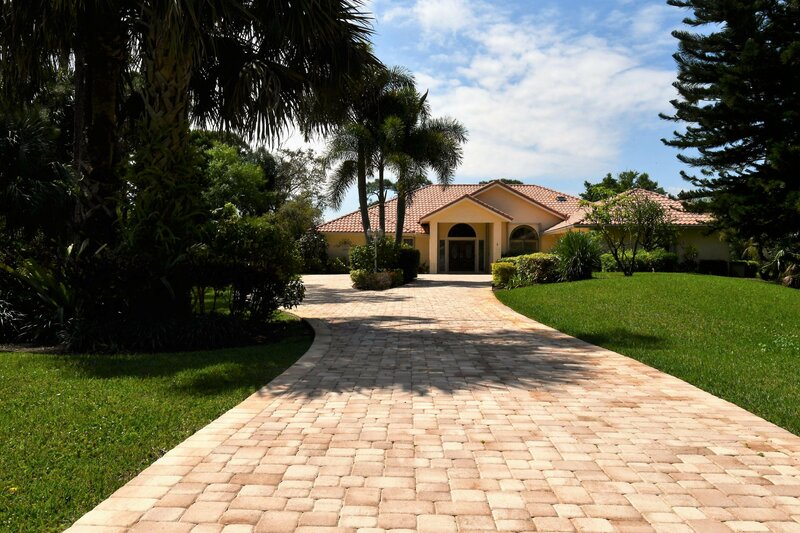 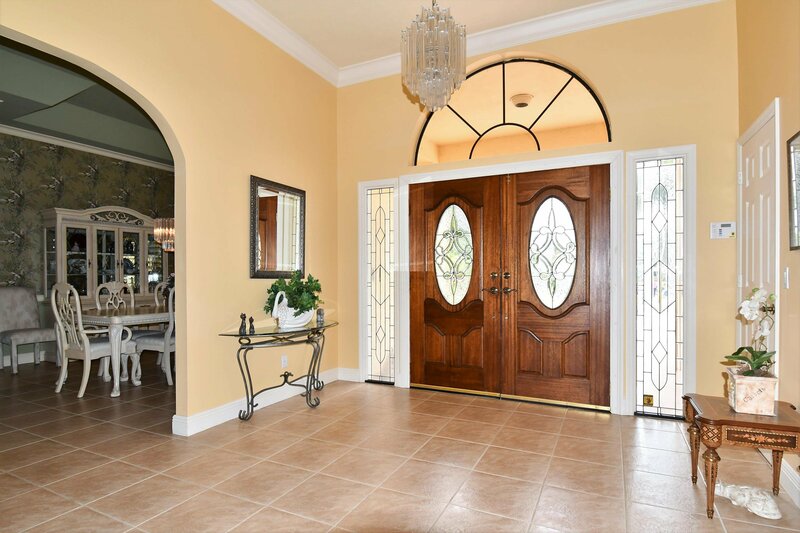 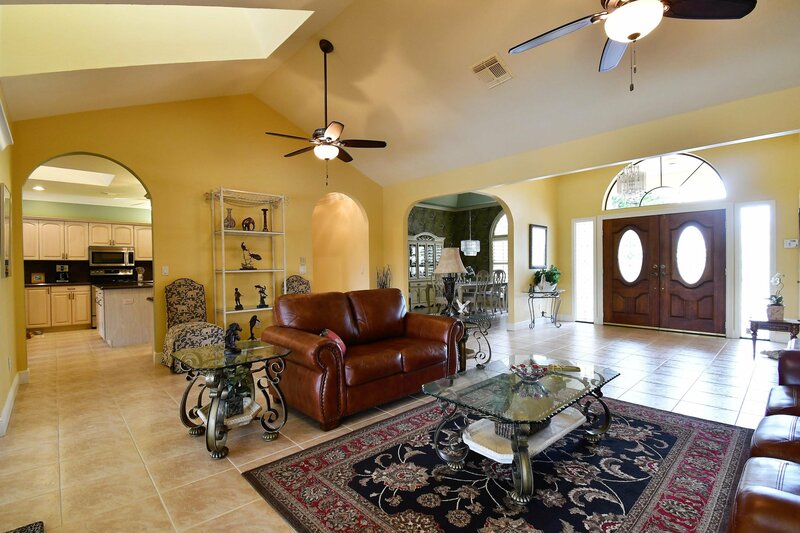 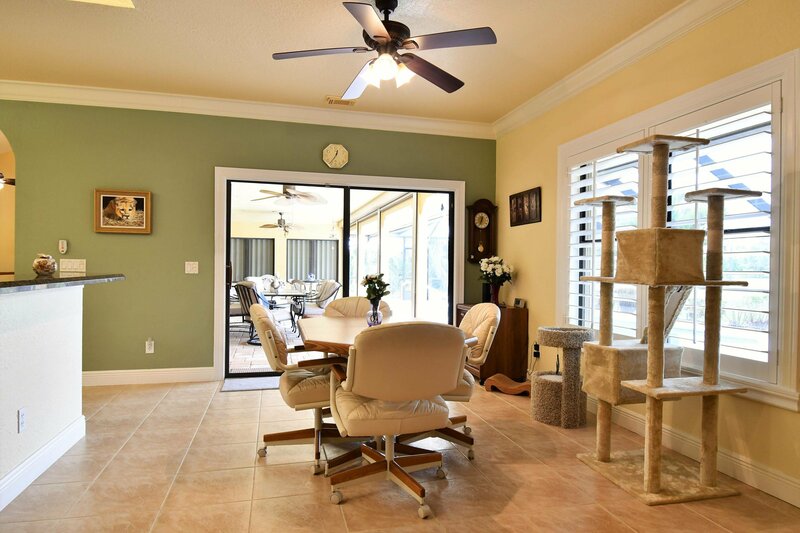 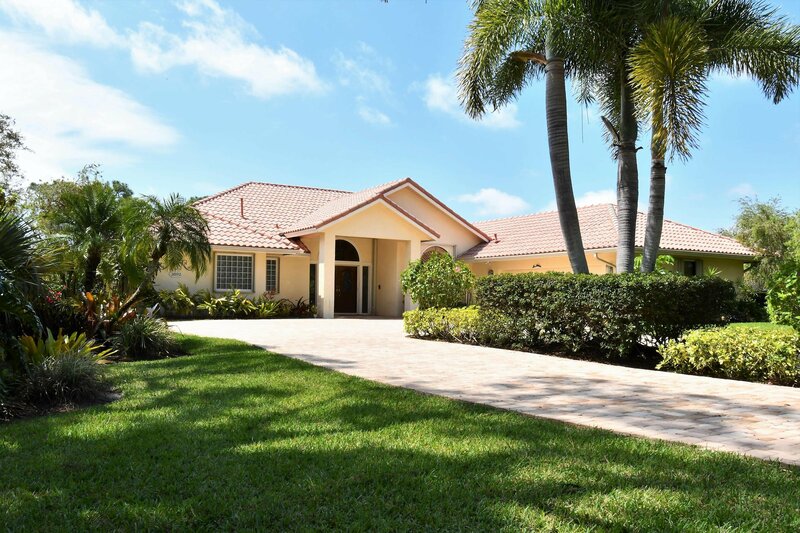 Beautiful home in the sought-after Evergreen Club in Palm City with magnificent Tropical Landscaping and circular driveway on an Acre. 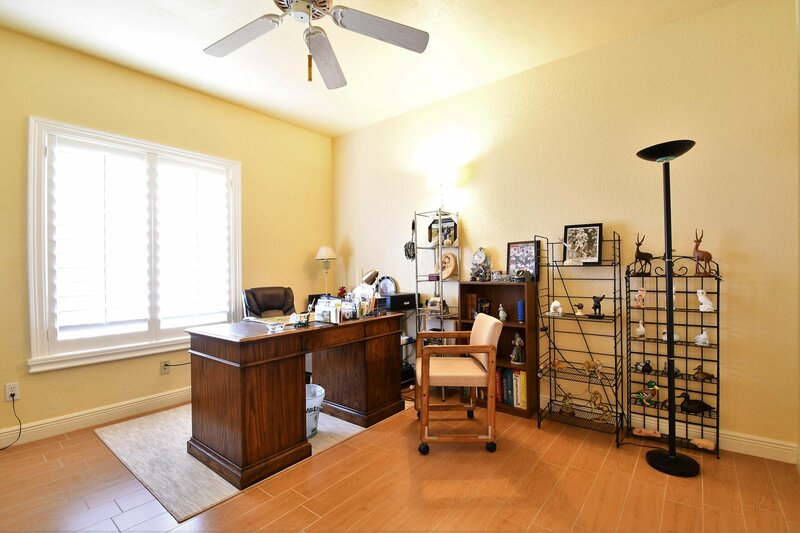 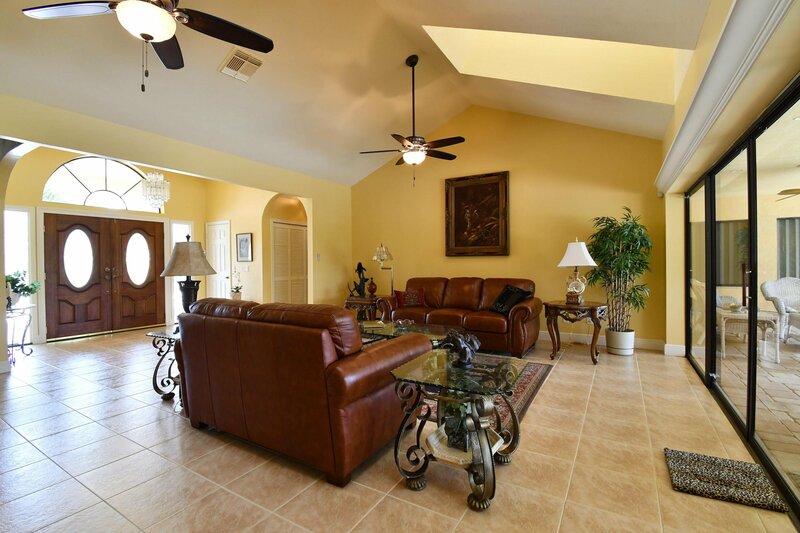 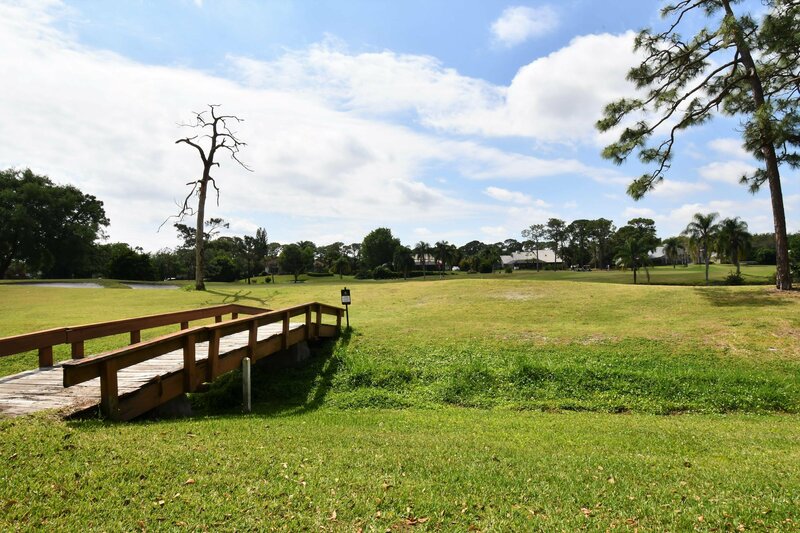 This split plan 3 Bedroom, 2.5 Bath, 2 Car Garage with a private Golf Cart entrance. 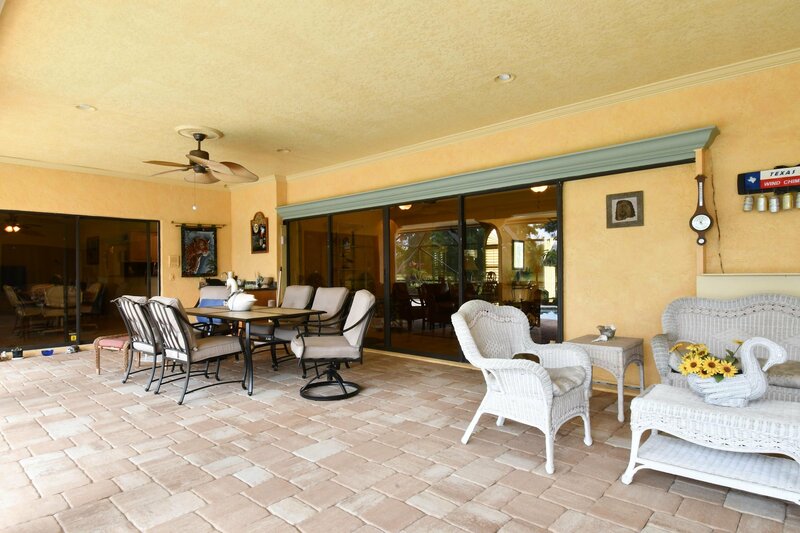 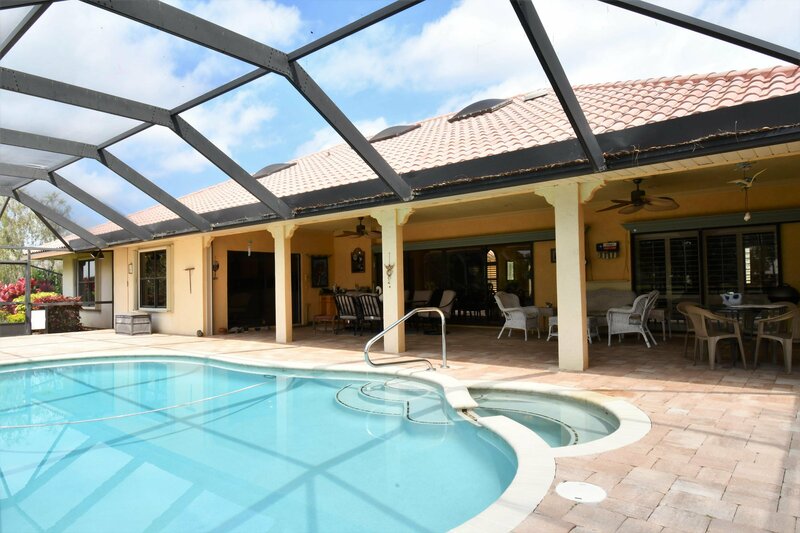 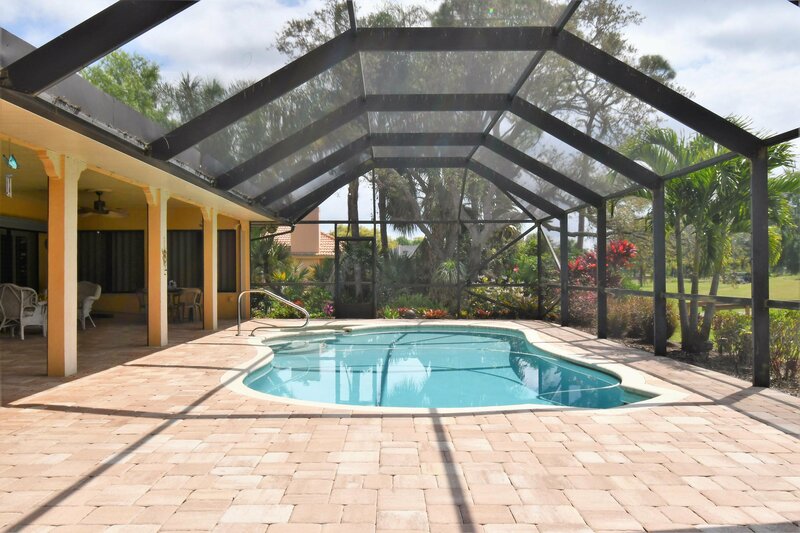 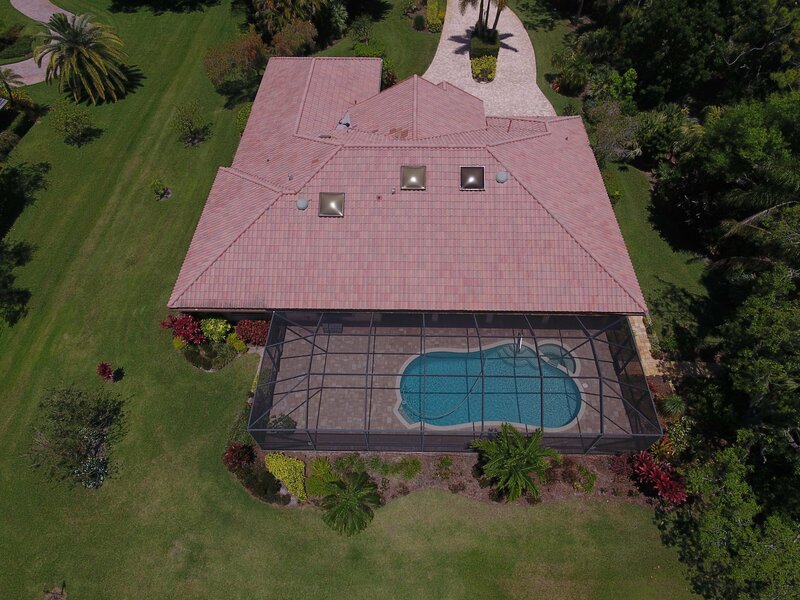 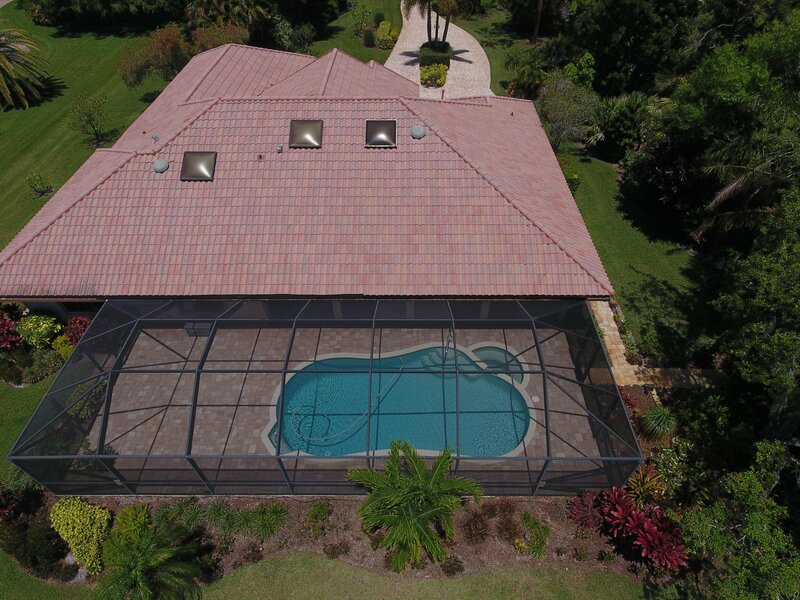 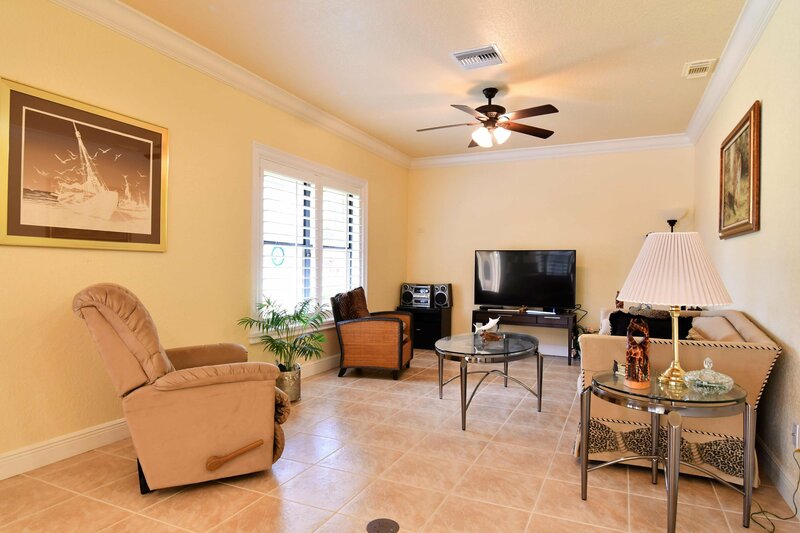 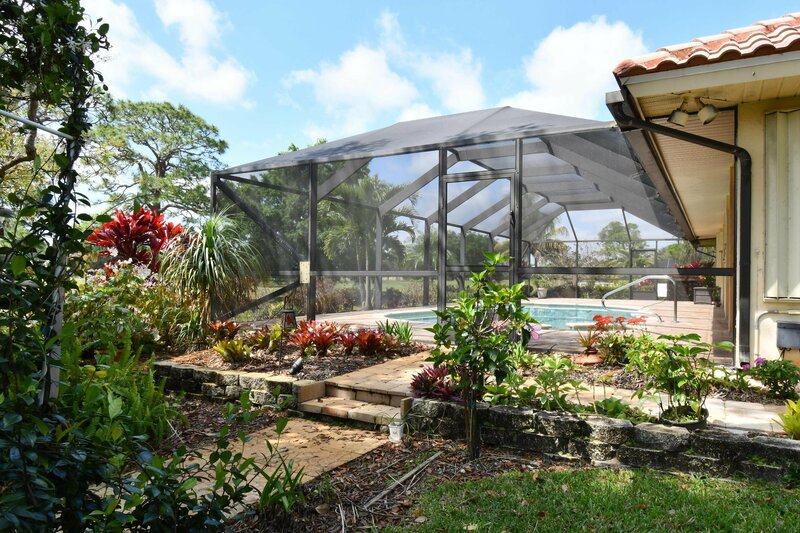 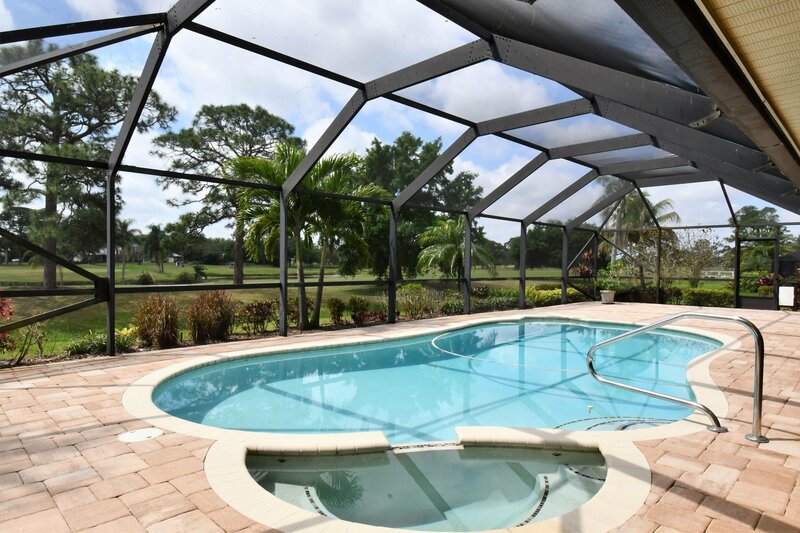 Enjoy the Florida Lifestyle in your own private pavered screened in pool and spa area. 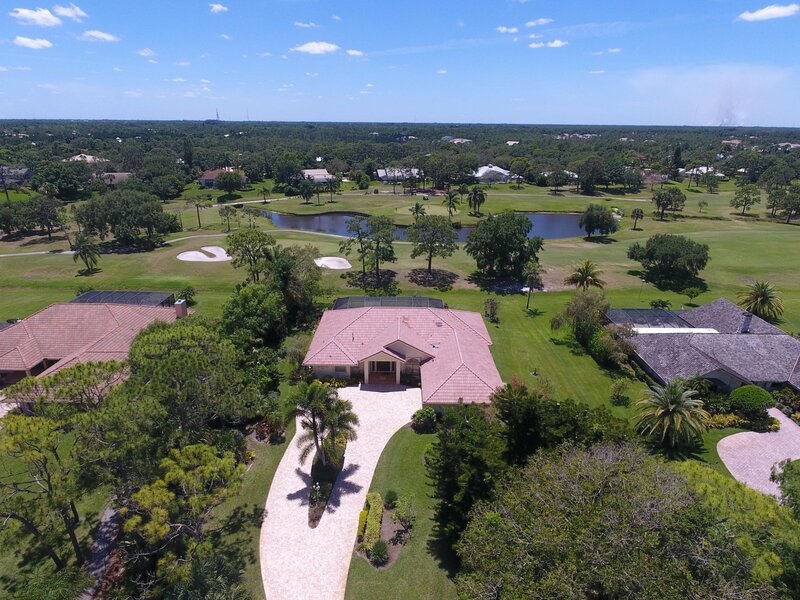 Plenty of room in this large home to entertain, as you walk thru the double wood doors into your Formal Living and Dinning room which over looks the Pool area and majestic dual Golf views. 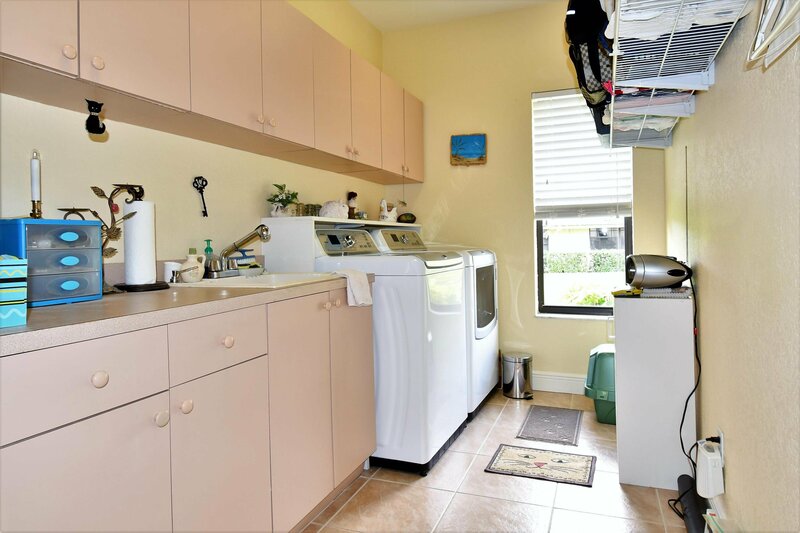 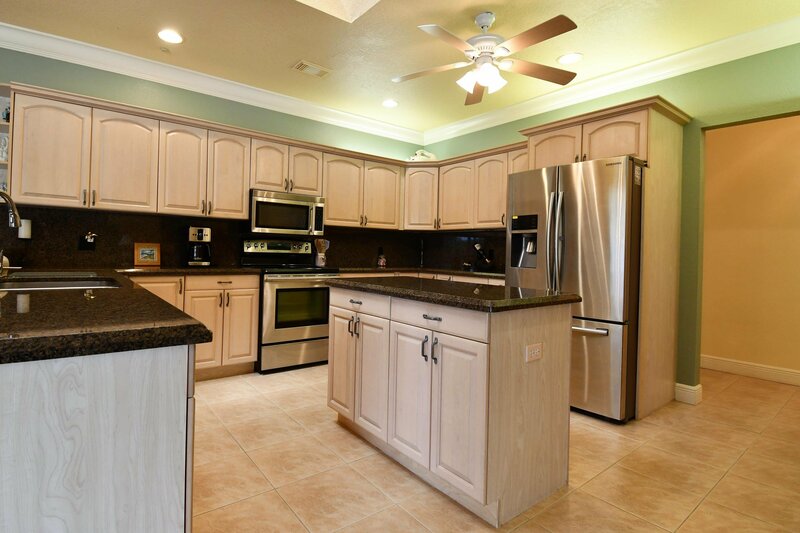 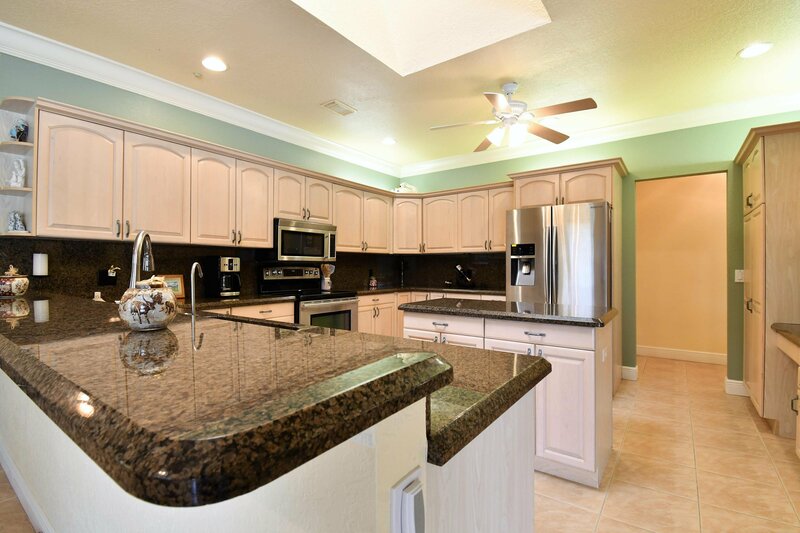 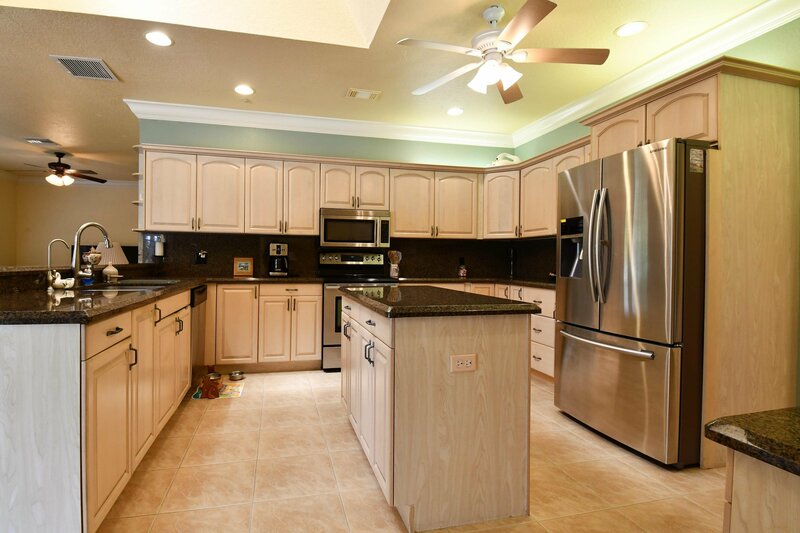 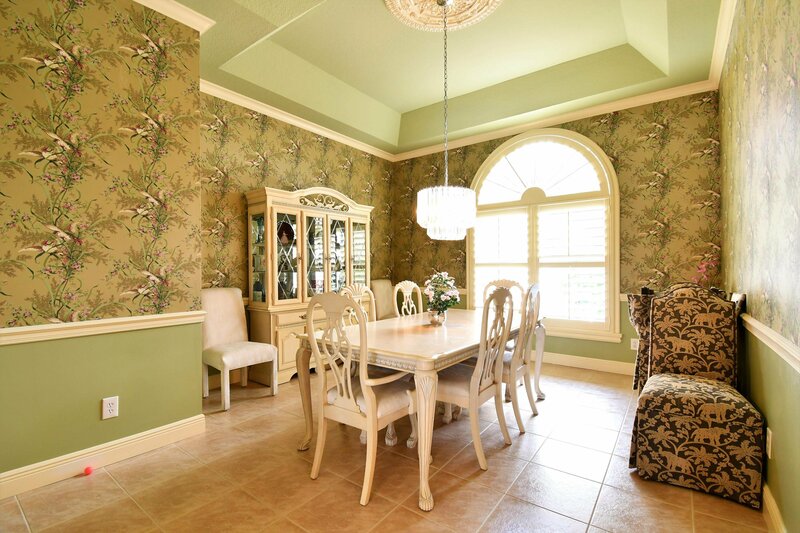 Kitchen offers Granite Counter Tops and center Island with a breakfast area and bar. 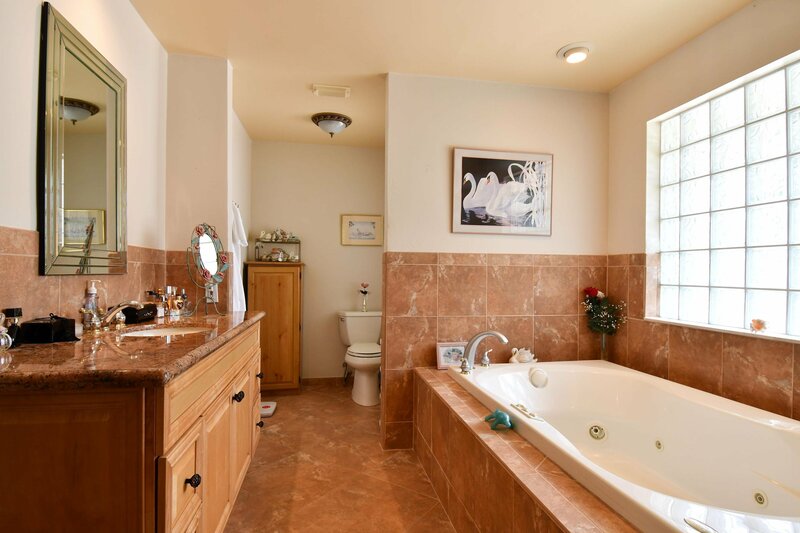 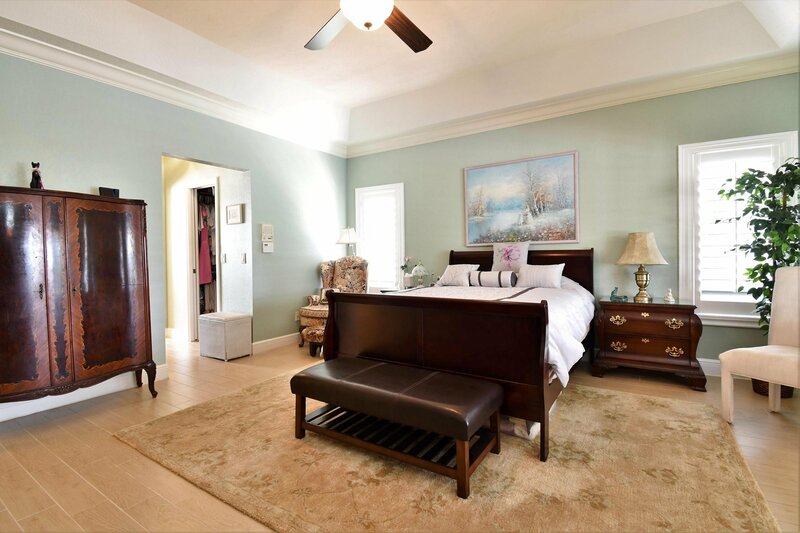 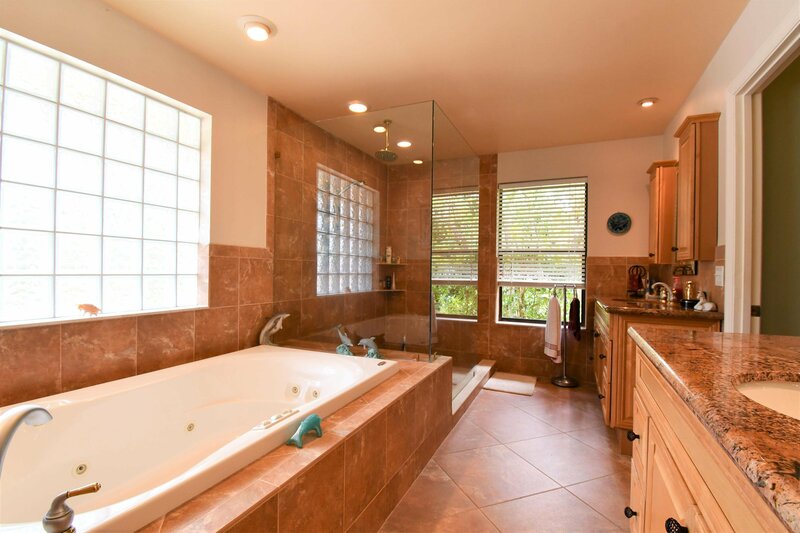 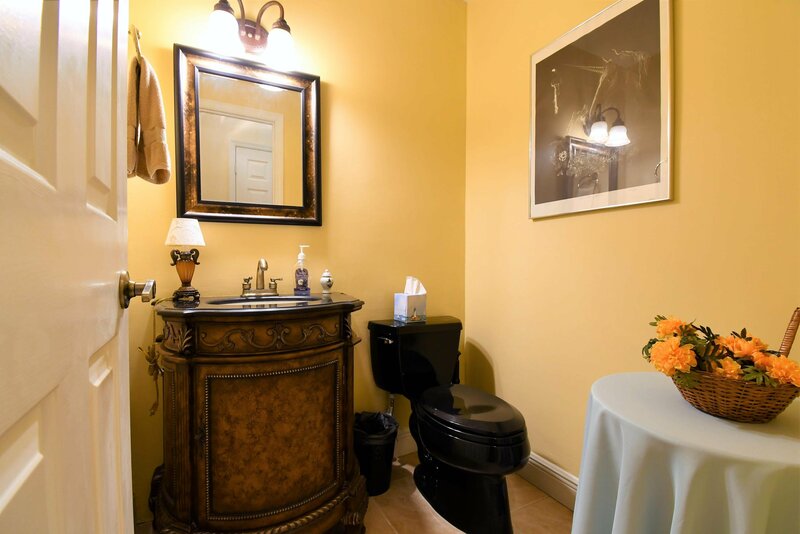 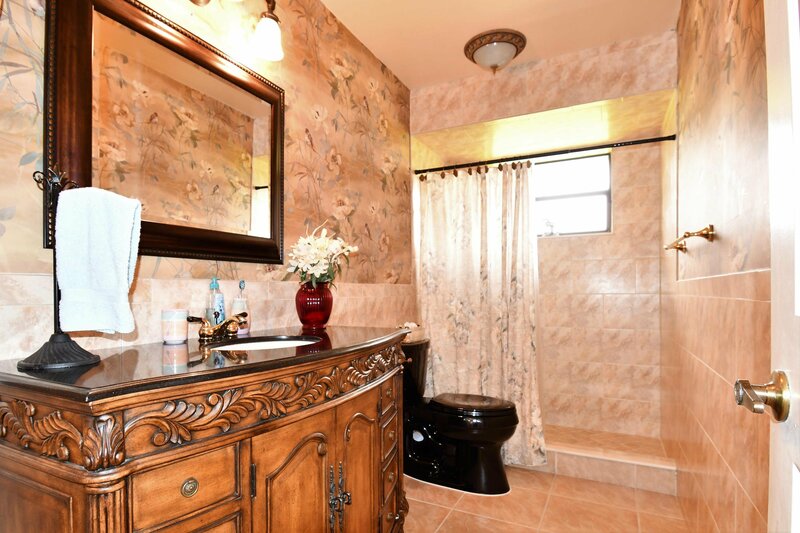 Large Master Suite with oversized closets and Beautiful Master Bath with wood vanity and granite counter tops with a tub and large shower.